The community at Laurel Hill Convent and boarding school, about eighty people, sat down to dinner during the evening of Wednesday the 3rd of July 1895, which had been prepared as per usual for them by the convent cook Mrs. Bridget Fitzgerald. The meal had taken place over two sittings in order to accommodate, as all the occupants of the convent were unable to be seated at one sitting. For this meal they ate a soup of beef and mutton flavoured with young green leaved celery. The soup had being strained and the meat was served separately. Cabbage boiled in water with a tablespoon of bread soda had also been prepared. For dessert there was a choice of strawberries or stewed gooseberries, from their own garden, with custard. The preparation of the custard had begun the night before when the cook took four quarts of skimmed milk left over from the Monday night and boiled it, adding about a half a loaf of sugar and two tablespoons of corn flour and she boiled it once more, then she left the mixture cool. After that, ten eggs yolks were beaten, all of which were fresh, apart from one, which had a reddish brown colour, but no offensive odour. Another egg from the same batch, which had been seen to be completely stale, was thrown in the fire. Mrs. Fitzgerald then poured the eggs into the milk, which she heated slightly, to the temperature of warm tea. The mixture was then poured into an earthenware bowl and put in a cold cupboard for the night. On the Wednesday morning the cook had noticed that the custard had become quite thin, to the consistency of cream, but she continued to serve it over the strawberries and gooseberries. Then she whipped the eggs whites, which had remained after the custard preparation, with 1 lb of sifted sugar and spread this on top of the fruit and custard. Prior to serving, she ate a bowl of the dessert herself. All, except two of the nuns and boarders, ate this meal. The two that did not partake were the Rev Mother who was an invalid and had separate meals made for her and her attendant Sister Anastasia. Towards nightfall a number of the nuns, including twenty eight year old Sister Margaret Caffrey who ate very little of her dinner as she usually did not have a large appetite, complained of being sick. During the night each nun, with the exception of the two, and the entire number of boarders grew sick. Sister Xavier, the Assistant Superioress waited until morning before she dispatched a note for Dr Malone, the physician to the institution, as she had hoped that the symptoms would abate during the night. The doctor arrived very shortly after receiving the news, finding all the patients in a prostrate condition and suffering from vomiting and diarrhoea. He diagnosed as best he could the cause of the malady but was unable to arrive at any other conclusion than that the previous day their food must have contained some form of irritant poison. The condition of a few of the Sisters was extremely serious and nearly every member of the medical faculty in the city was requisitioned to deal with the extraordinary state of affairs prevailing at the convent and Dr Holmes, Dr Graham, Dr Humphries, Dr Shanahan and Dr Haron were in constant attendance on the patients. The Most Rev Dr O’Dwyer and the local clergy were also diligent in their attendance and sympathy towards the sufferers. By Thursday the majority of the patients with the exception of the few acute cases were in a much better condition. The case of Sister Margaret warranted special attention, but to no avail as sadly her symptoms grew increasingly worse and she passed away on Friday evening. The death of another sister, Mother Mary (Maria Billot), soon followed at 6:30 on Monday morning and the inquest that had begun on Saturday to investigate the first death was postponed to include the second. Samples of the meal were sent to Dr. Charles Cameron, Professor of Chemistry and Hygiene at the Royal College of Surgeons Dublin, for analysis. On the Friday he received a portion of the corn flour, bread soda and sugar, which were the only items of the meal remaining. He also received samples of vomit and faeces from one of the infected patients. None of the items examined contained any form of poison. On hearing of the circumstances surrounding the preparation of the custard he seemed somewhat surprised that its consistency remained thin. He had a custard made in a manner similar to the method described and found that his batch also remained thin, due as he supposed to the albumen of the egg not having coagulated by heat, for when he heated a second batch near to boiling point (as was the norm) he found that on cooling it became quite thick. It was his opinion after his experiments that one of the eggs used in the preparation had been contaminated and with the custard also being undercooked and left over night in the warmth, this caused bacteria to form in the custard, causing the entirety of the convent to become infected with ptomaine poisoning, food poisoning. Dr Cameron went on to report this case of food poisoning in the British Medical Journal at the end of July that same year. Thirteen days after the meal a third patient succumbed to the effects of the poison. She was 18-year-old Josephine O’Flynn, a boarding student from Cork. She had at first recovered slightly, but then suffered a severe relapse, which had become so serious that her father travelled up from Cork the day before her death to be with her. The fourth and final victim of this terrible episode was that of forty three year old Sister Mary Claire who passed away a few days after Josephine O’Flynn. The inquest into all four fatalities concurred with Dr Cameron’s theory and recorded accidental poisoning as the cause of death for each of the victims. No one was deemed responsible and no prosecutions were made. 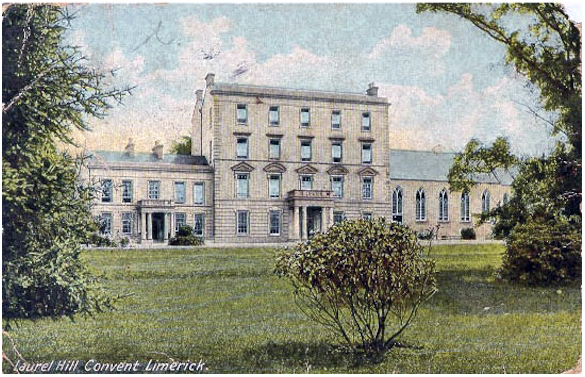 Not everyone agreed with Dr Charles Cameron’s diagnosis of food poisoning though, and one of those who had his own opinion of the cause of the ailment in Laurel Hill Convent was a Mr. David Clohesy who had a lengthy letter published in the Limerick Leader on the 2nd of August 1895, in which he explained, that he believed the illness in the vast majority of the convents community had more to do with the idea that the women may have been poisoned than that a toxin had in fact been taken, this inducing them to imitate the physical symptoms of the illness. He was quoted as writing “Suppose that a sensitive person – a lady – while she is eating strawberries or similar pleasant dessert is told that she has taken a worm into her stomach, she will instantly stop eating, and in a minute she vomits freely. How is this still the case when she has swallowed no worm? The answer is that mental impression caused it, or in other words that the vomiting principle was in the brain”. Thus, he implies that almost all the women in the convent and school were of a delicate nature and their symptoms, self-induced. This was one of the first cases of food poisoning causing death where the culprit was deemed to be a stale egg to be reported in the British Medical Journal.